After writing this post, I found “Dear Professor: I Hate You” in the Chronicle of Higher Education. Here, professors mention the cruel or strange comments they have received in evaluations from students. The article definitely compliments what I mention about my relationship with one nasty class. 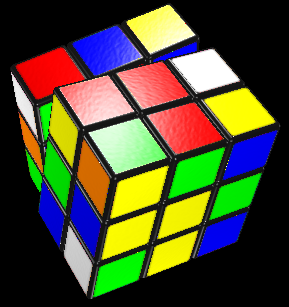 Just thinking about that awful class in writing “Rubric’s Cube” brought back a lot of memories. I had a really cute and clever title and a great example of a horrendous experience that taught me to be better organized and put some time into my classes. With the adjunct lifestyle, this can be quite a challenge, but the customers, I mean students, can be merciless. They may not know if a professor is an adjunct or full-time. Even if they do, they may not care. I never did, but I treated my teachers with respect when I was in college. Now that I’m on the other side, I must keep in mind that not all students are like me. It’s with a little difficulty that I weigh in on this issue. As someone who writes, creates art, and blogs, I am a strong believer in the freedom of speech. I have expressed my concerns and my fears regarding how my blog or any other form of online expression could be used against me. On my blog, I have a widget linking to the Electronic Frontier Foundation, which serves to show that I support freedom of speech on the Internet, raise awareness of the issue, and hopefully get readers to support the EFF and other free speech organizations. However, the real test of supporting free speech comes with dealing with speech that isn’t pleasant or popular. From an educator’s perspective, the news of someone “cyberbullying” their teacher and then filing a lawsuit following a suspension initially made me uncomfortable. Katherine Evans, a former high school AP Honors student, set up a Facebook vent group where she invited users to “to express” their “feelings of hatred” for Sarah Phelps, her English teacher. Having dealt with difficult students before, I can’t say I’m in love with what she did. However, I can empathize with her frustration and I do support her right to articulate her frustrations. Whether she truly felt poweless against a teacher’s unprofessionalism or that she was frustrated that she may not have been learning the material, Evans does have the right to voice her grievances. Is what she did that much different from what students post on Rate My Professor? That forum is largely anonymous while the Facebook discussion was not. When I was a graduate student, I had a mentor who treated me unprofessionally towards the end of our academic relationship. After the fallout, I was extremely alienated, hurt, and angry. My feeling that he did me an injustice was so strong that I wanted to tell everyone what a horrible human being he was. I found support with other grad students who hated him. I then did things I’m not completely proud of, such as submitting his surname as a vulgar slang word on Urban Dictionary and posting hateful comments about him on Rate My Professor. I’ve also written critical blog entries about him where I identified him as Professor Joseph K, which were mild compared to the other items. I’ve never doubted that Professor K could easily be identified or that the other items could come back to me. All I can hope for is that he does support my free speech rights, however uncomfortable my various postings can be for him. On the flipside, I have worried that some posts I’ve done on some students could “bite me on the arse.” Here, if a student happened to access my blog and didn’t like my ventings about him or her, then they might try to get disciplinary action taken against me by the school administration. While such an expression may not be appropriate, stifling one’s voice is even more innapropriate whether it is Katherine Evans or Shinichi Evans. We may not be perfect, but we have a right to voice our opinons. All of us have lived through an era where our government has pursued means to suppress our right to free speech, such as the PATRIOT Act. Apparently, dissent and critical opinions made Bu$h and company so uneasy that they pursued almost every means to silence people, including social sanctions. The Dixie Chicks can attest to that. Then, there are the people whose speech doesn’t sit well with a lot us, such as Fred Phelps. Of course, he and his sired church don’t care for most of us and our rights to speak out. However, to silence others because we don’t like them makes us no better than Bu$h or Phelps. As for academic institutions who silence students or teachers, SHAME ON YOU! One of the joys I have returning to teaching this year is letting students take on incompletes. Actually, it’s not, but I somehow got into giving a student one at the end of a very short term summer course, the one that caused me to take marathon naps. It was not my intention to enter into an incomplete agreement. With this student, I didn’t get all of her work, and I originally set out to assign a substandard grade. The grade gods must have been looking over her, because I wound up entering the grade as an “I” and I couldn’t change it, even with a grade change form. I could have pressed on, but it was difficult once she accessed her grades. It’s also been difficult as she’s claimed to have e-mailed me the paper I never got. She has stuck to this claim and I’ve stuck to mine about never getting it. I have obsessively checked my e-mail many times for it. Recently, I have told her to print out the e-mails she sent me, attach it to a hard copy of the paper, and put it in the student drop section of the faculty mail room. For some reason, I never hear back from her after giving instructions like this, and I only get an e-mail when she has to deal with her college transcript. Hopefully, she heeds my last e-mail and may the grade gods be with her.